When you use iPhone or iPad, they usually keep tracks of what you do, so that you can easily do things such as checking a website you’ve visited or viewing a missing call. However, iPhone/iPad browsers like Safari also store cache data, cookie data of the websites you visited, by default. Surely this can raise privacy concerns as your personal data can be misused by malicious apps or people. Hence it is advisable to clean these data from time to time in case data leak, which quashes any possibility of the occurrence of privacy issues and also helps keep your device running smoothly. 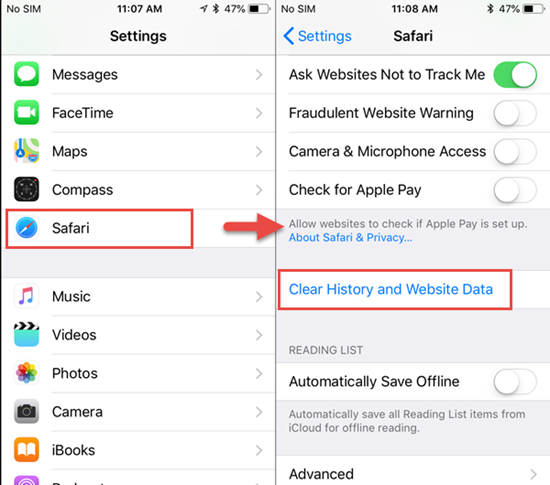 In this post, we will share how you can clear your trace including browser history and call history on iPhone. Open Settings in the iPhone and scroll down till you find the “safari” app. You can also search “Safari” in the top search bar. Click into the sub menu of safari, scroll down and tap on “Clear History and Website Data”. Then click on “Clear History and Data” while being asked for confirmation. Apart from the browsing history, your cookies and caches will also be deleted via this method. Note: If you clear safari history on iPhone or iPad, the action can’t be reversed, but you can use the professional tool Gihosoft iPhone Data Recovery to recover the deleted safari history/bookmarks from your iOS device. Open the Phone app directly from your home screen. Tap on “Recent” on the bottom. It will display a list of all the recent calls that you have made or received. Tap on the “Edit” button. Then click on the “minus” sign before every call log to delete it one by one, or tap on “Clear” to delete all calls at once. Note: Every deletion to call history can’t be reversed. 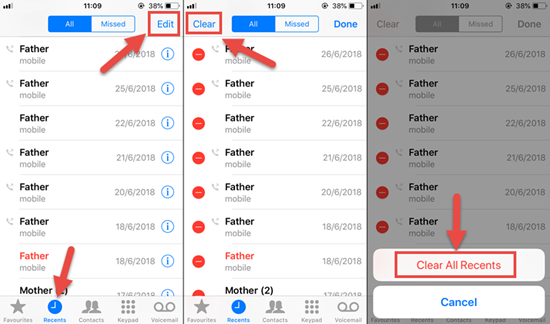 If you accidentally deleted an important call log, you can follow this page to recover deleted/lost call history on iPhone. During our daily use of iPhone, there may be some cache of apps on the background. 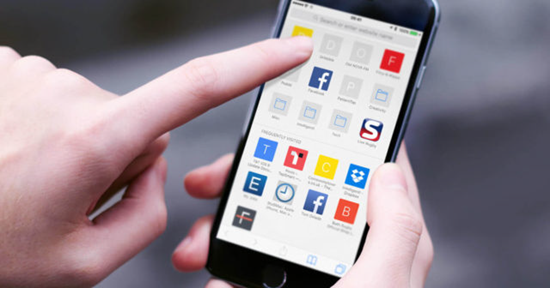 Some apps may allow users to clear their cache inside their app settings, but some may not. The app caches normally are invisible to users, and it will accumulate as time goes by, which will slow down your iPhone one day. So in order to keep better performance of your iOS device, it’s also recommended to clear app cache regularly. The first one is to uninstall the app from device. Once you uninstall an app, all data within the app will be removed from iPhone completely, including all your history, cache and using log; then you just need to download it again from App Store. Long press the app icon on the home screen, and click on the white X appearing later. After the app icon disappears, you can redownload the app. Or you can go to Settings > General > iPhone Storage and scroll down to the app you want to clean, then click into it and tap on “Delete App”. But we don’t recommend you to follow this way, because uninstalling an app also clear all your data which won’t save on cloud server, like downloaded files, video, or game records. Also, if the app is not on App Store anymore, you won’t be able to download it again on iPhone or iPad. 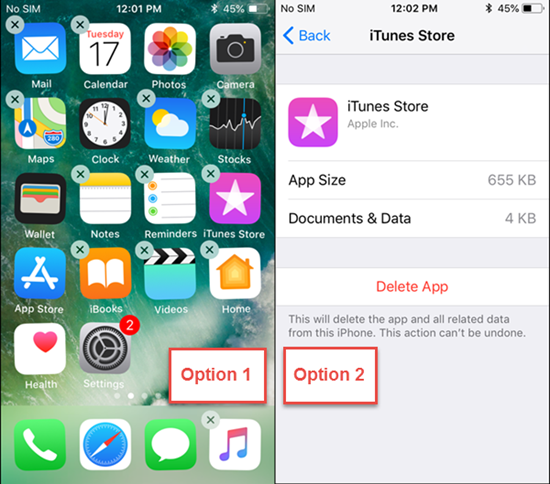 You don’t need to delete apps if you go this way, just follow the steps below to clear app cache on iOS device. Press and hold the sleep/wake button until iPhone shows “Slide to Power Off”; or you can go to Settings > General and click on “Shut Down”. Don’t shut down the device. 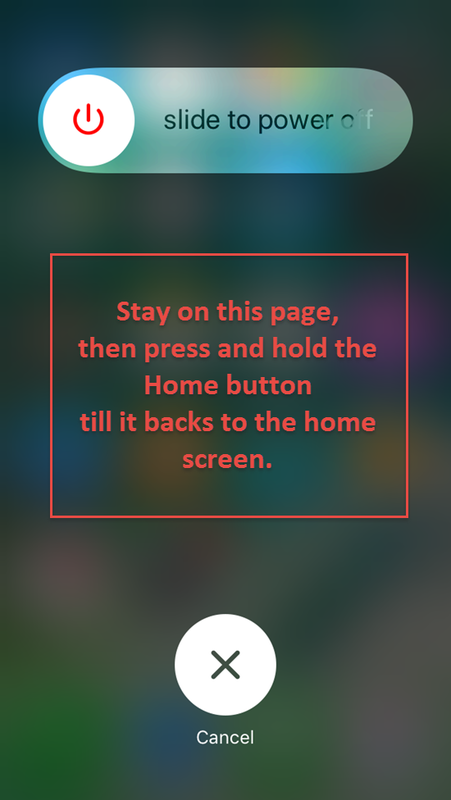 Then press & hold the Home button for a few minutes until it returns to the home screen. For iPhone X you may need to enable AssistiveTouch on Settings > General > Accessibility first, then follow the above steps. These days, as the recent Facebook controversy going on, data privacy becomes a huge concern among people using Internet. Now most Internet companies shape their products and do marketing by tracking users’ browsing history. As a result,they target ads to you based on your preferences or show sponsored products and news articles. It’s hard to tell whether this is a good or not, but you need to raise your own consciousness to keep your privacy safe, no matter how many laws are made to try and protect privacy. It is better to take one’s privacy into one’s own hands. You should definitely use your iPhone to its full potential, but also learn the little tips and tricks to keep your private data away from prying eyes.